Description LOCATED IN SHELBYVILLE! 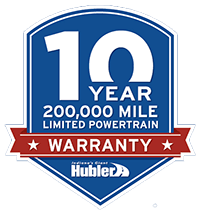 CALL TODAY 317-392-4101, CARFAX 1-Owner, Hubler Q Certified. JUST REPRICED FROM $15,995, $1,100 below NADA Retail!, EPA 40 MPG Hwy/29 MPG City! Satellite Radio, Back-Up Camera, WiFi Hotspot, iPod/MP3 Input, Turbo Charged, ENGINE, 1.4L TURBO DOHC 4-CYLINDER DI... AUDIO SYSTEM, CHEVROLET MYLINK RADIO.. Alloy Wheels, TRANSMISSION, 6-SPEED AUTOMATIC READ MORE! Edmunds.com's review says "The Cruze has a nice Great Gas Mileage: 40 MPG Hwy.